Our employees are the core of BiSN, and it is their passion and drive that makes our mission possible. Because the people are what make our company what it is, we wanted to introduce our employees through a ‘Meet the BiSN Team’ series which will profile many of our talented workforce and give a bit of an insight to what they do for us on a day-to-day basis. 1. How long have you worked at BiSN? I’m responsible for the qualification and production of all of the thermite we use in our test tools that we fire in the shop and the commercial tools that we send down hole. 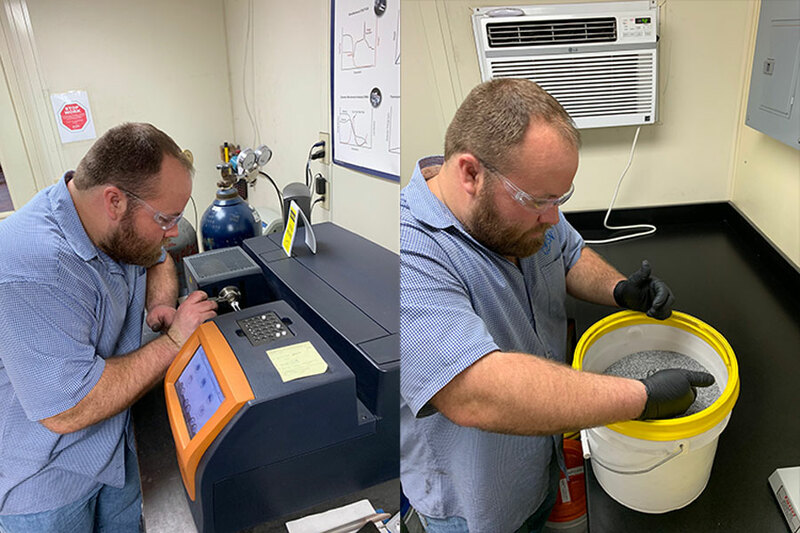 In addition to that, we are responsible for running the development and qualification of any new or prototype thermite mixes that we are going to be using to enhance tool capability. 3. What is the best thing about working at BiSN? The people that we work with and the challenges we get to solve on a day to day basis. 4. What is the most exciting part about your job? I get to fire literally tonnes of thermite. 5. Are there any key lessons that you’ve learned from your time with BiSN? You must be open to any possibility – we have had several projects come in where we have thought there was going to be no way they would work, but we found a way. We found a solution and got a commercial tool out, got it downhole and it worked. I’ve definitely learned to never dismiss anything right away and to always have a look at a problem a second time, or maybe even a third time. 6. What challenges have you faced within your role? Of course, there are always challenges or something that comes up. We are constantly learning and there are always new things and unexpected outcomes that you have to work from. We are often having to modify our approach if things don’t work the first time and learning how to keep moving forward with different projects. 7. What does your working day look like? I do a little bit of office work and a lot of work in the shop, whether it’s chasing how tests are going or making sure we have all the things we need for testing. I also check on those manufacturing the thermite, so I spend a lot of time in the shop seeing how things are going and helping them out.